This park was born of a rather unfortunate circumstance. 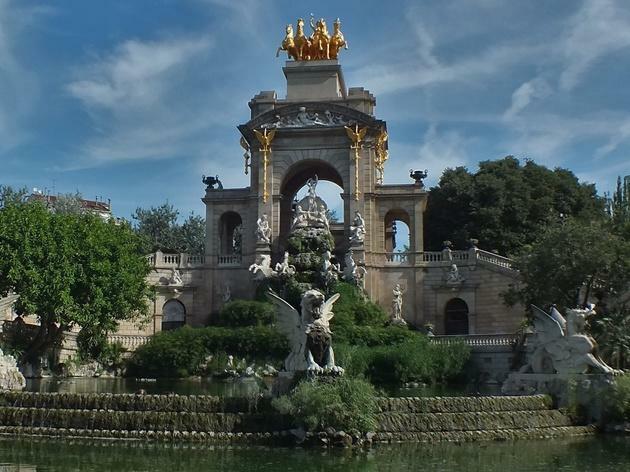 In the early 18th century after winning the War of Spanish Succession, King Felipe V demolished a significant portion of the city to create a military citadel ('ciutadella' in Catalan) where he could more easily control the people of Barcelona. 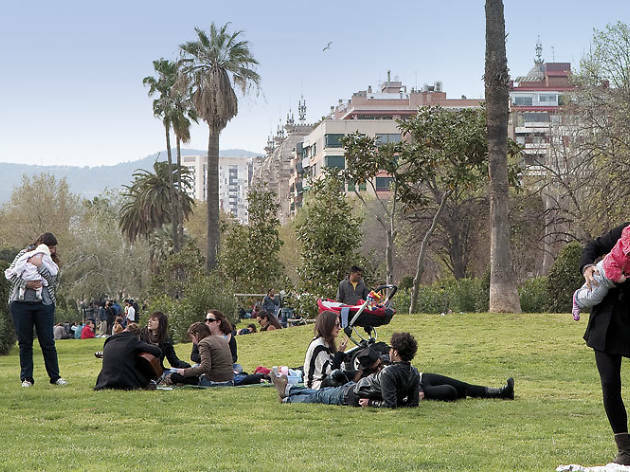 A century and a half later, General Juan Prim led the charge to destroy the citadel and make it into a park where the citizens of the industrialising, overcrowded city could get a breath of fresh air. 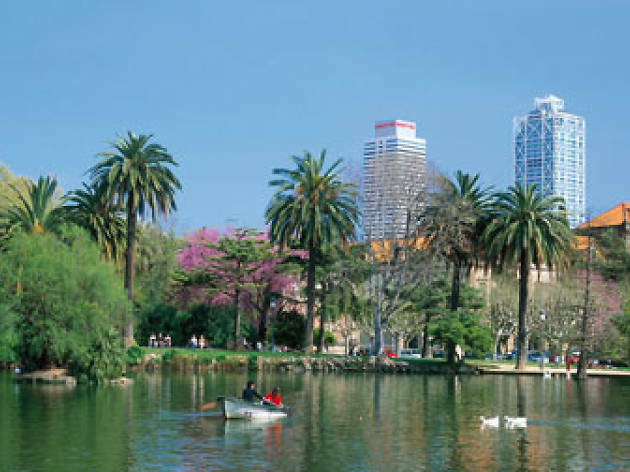 The park now spans over 17 hectares and includes the Barcelona Zoo; geological and zoological museums; a lake with rowboats for rent; numerous winding paths perfect for running or cycling; and plenty of green space to spread out a blanket. However, you may want to get there relatively early to claim your territory on a sunny day or weekend because the grounds tend to fill quickly. 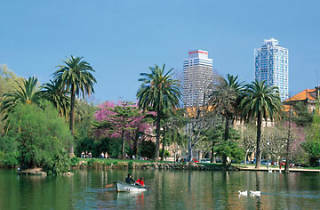 Some of the buildings remaining from the original citadel include the military chapel, the Governor’s palace and the arsenal building, which is now the headquarters of the Parliament of Catalonia. 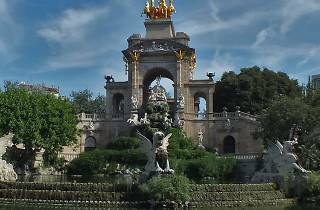 In the northern corner of the park sits a rather majestic waterfall designed by Josep Fontseré and his apprentice, a young Antoni Gaudí. 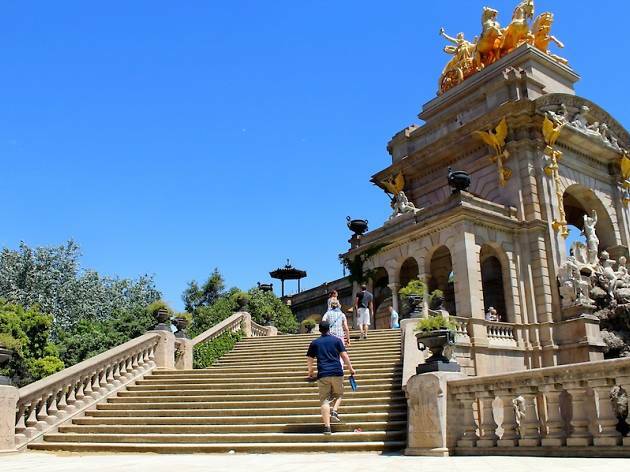 There are always games of football and children playing with giant bubbles down in front, but if you ascend the steps on either side of the fall to the small temple at the top, you’ll get a bird's-eye view of the park. The waterfall is just one piece of art that gains the park recognition as an open-air museum. 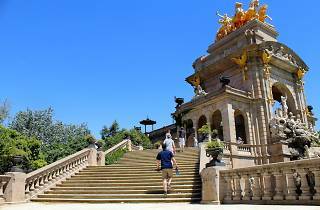 There’s a giant mammoth statue that's a huge draw for the little ones, and a sculpture called ‘La Dama de Paraigües’ (‘Woman with Umbrella’) that was considered one of the symbols of Barcelona for some time. Just a skip away from the waterfall is a bandstand, where you might find people doing yoga, playing music or swing dancing. 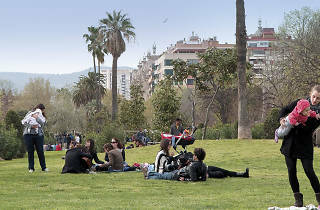 Local exercise groups often work out in one of the open spaces around the park. If you want to join in, just ask. Often you won’t have to decode Spanish workout terms since lot of classes are offered in English.